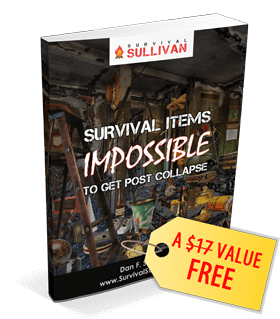 Most of us have heard a horror story or two about grandma’s pressure canner or cooker exploding and turning the kitchen into a mangled mess of metal and food. 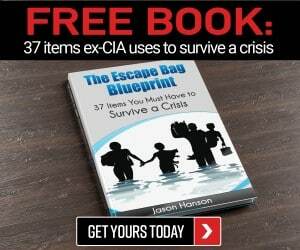 In fact, many people may be hesitant to use a pressure cooker or canner because of these accidental explosions which were very common at one time. But a pressure cooker is a different breed of pressure canner, its upgraded. Modern pressure cookers are now much safer with the inclusion of a safety features, including vent systems. The advantages of using a pressure cooker, outweigh the risks, especially if you are short on time but still want to feed your family healthy, great tasting meals. Because multipurpose pressure cookers offer versatility all-in-one appliance. To reduce the number of cooking appliances you need and save counter or cabinet space. So you’ve decided to purchase a pressure cooker for your kitchen. How do you choose the right pressure cooker for your family’s cooking needs? What criteria or features should you be looking at before you decide which pressure cooker to buy? We’ll give you the basics on the three types or “generations” of pressure cookers, and how to choose the best pressure cooker for your family below. Generations or types of pressure cookers are classified according to origin and features that they include. The primary criteria to be aware of when comparing generations of pressure cookers is whether it is a single pressure or multi-purpose pressure level cooker. This is your great grandmother’s pressure cooker or canner. First generation pressure cookers operate by means of a valve that is releases pressure using a valve that is weight-modified. You may have heard a pressure cooker give off a loud whistle, like a teapot, only louder. This whistle occurs when the pressure is being released. The downside to first generation pressure cookers is that they typically only heat to just one pressure level. If you are going to choose a first generation pressure cooker, make certain the single pressure level will work for your needs. Otherwise look for one of the few first generation models that allow you to adjust the valve weight to change the pressure level. Sometimes referred to as “latest gen” pressure cookers, the second generation cookers operate via hidden spring loaded valves. It’s this mechanism that lets you choose from different levels of pressure. 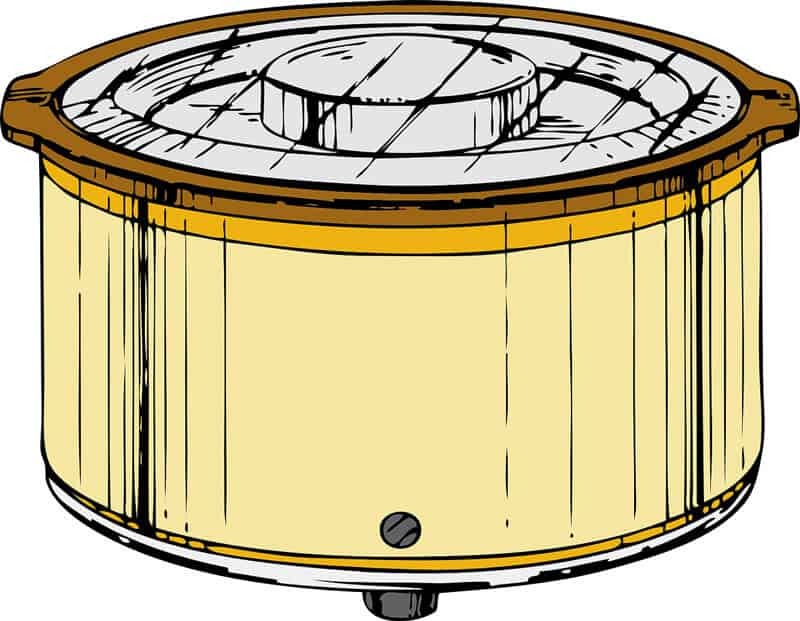 A pressure indicator shows the level of pressure but some models do not release steam until you open the pan. If you are going with a second generation pressure cooker, look for a model that has a dial to adjust and vent the pressure. These are typically less expensive than electric pressure cookers but you’ll have to monitor them closely during the cooking process. Third generation pressure cookers include a source of electric in the base which serves to regulate temperature and pressure. These are your “countertop pressure cookers”. Instead of putting them on the stove to heat, you set them on a flat surface, such as a countertop, and plug them into a power outlet. Sometimes called “third gen cookers”, electric pressure cookers include the hidden spring loaded valve and pressure dial as well as a timer. The downside to these countertop cookers is you cannot release the lid quickly. In addition, steam is released during cooking using tiny valves which means you need to be careful not to get burned. But if you’re looking for a pressure cooker where you can add your ingredients, set a timer, and let the machine do the work, electric pressure cookers are the way to go. One of the critical things to compare when choosing a pressure cooker is quality materials. To get a safe pressure cooker for your home which will be a well-loved appliance in your kitchen, you must start with quality materials. Select a durable pressure cooker that will resist stains and corrosion. Stainless steel is one of the best materials for pressure cookers because it resists stains and corrosion. Look for a stamp indicating 18/10 which lets you know the material contains at least the minimum of 10.5% chromium needed to be called stainless steel. The other material will typically be nickel which is what increases the protective layer of the chromium and gives your pressure cooker its shine. It’s also a good idea to research the brand behind your pressure cooker and read the details of the warranty carefully to ensure you can get the unit repaired or replaced to your satisfaction if something does go wrong. Pressure cookers range in size from a very small 3-quart size to the average 8 and 10 quart size, and up to more than 20-quart capacity. If you overfill a pressure cooker it can be dangerous. Your family size and how often you might make meals for a larger group will help you choose the pressure cooker that is the right size for your family. Accepted pounds per square inch for a pressure cooker is fifteen. Most recipes for pressure cookers will require this level of pressure. Make certain the pressure cooker you choose is capable of 15psi. The pressure indicator on a pressure cooker is critical because it lets you know when the desired pressure has been reached. Many recipes will call for cooking a specific amount of time once a specific pressure has been reached. Without an accurate psi indicator, you’re just guessing. This feature is not present in all pressure cookers, but it is certainly a great feature to have. A quick release option enables you to quickly reduce the pressure in your pressure cooker without letting heat escape. This feature is what is needed if you want to safely add ingredients part way through the cooking process. Each pressure cooker can come with one or more optional accessories which, although not required, can make your cooking easier and more convenient. Be sure to check to see which accessories if any are included when comparing prices before choosing the right pressure cooker for your family. Choosing the right pressure cooker is a very subjective experience. We’ve provided guidelines to features and other criteria to compare when buying your pressure cooker, but ultimately the decision is yours. Below are some links to several different popular pressure cookers to get your search started. 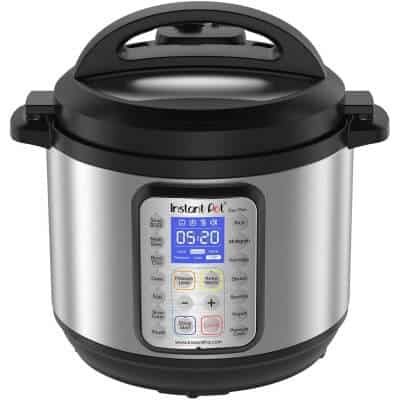 The Instant Pot or “Insta Pot” is one of the pressure cookers available today that is most popular. In addition to high- and low-pressure cooker settings, the Instant Pot has seven different cooking options, including 3 temperature for browning, a slow cooking, and a warming option. It’s made of stainless steel with an optional nonstick coating insert available. It features delayed start and auto keep warm and comes with a lifting/steaming rack. Available in 8-quart, 5-quart, or 3-quart sizes. This is a large pressure cooker with many of the features of multi-cookers. It offers options for pressure cooking at low and high temperatures. Available in 6, 8, and 10-quart capacity. Use it to replace your crockpot slow cooker, make your own yogurt or to brown foods. 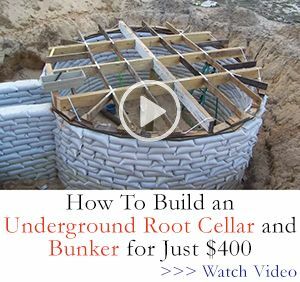 It has built in safety features and is fully automated. Dishwasher safe. 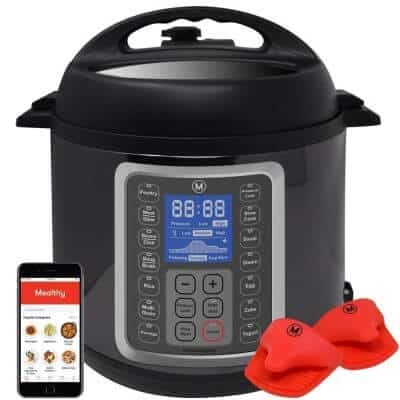 If you need an electric pressure cooker that won’t take up much counter or cabinet space but still includes the great cooking options of a larger pressure cooker, the Mealthy Multi Pot is worth considering. It includes a stainless-steel pot and a steamer basket and a host of accessories to make pressure cooking convenient and easy. Dishwasher safe for easy cleanup. It’s not the top of the line pressure cooker, but if you’re looking to feed a large family or group of 10 or more, this one will do the trick. It’s available in a large 12.5-quart capacity and is made of stainless steel. Cooks up to 11.99 psi and has presets built-in to eliminate guesswork. 3 pressure settings, slow cook, sauté as well as a handy manual mode. Comes with seven built-in safety features and multiple accessories including 2 steam baskets, stainless steel rack, and spoon. (6-, 8- and 10-quart sizes available). One of the better know brands on the market today, Presto makes this 8-quart stovetop pressure cooker available. It is made of heavy-gauge aluminum and includes a cooking rack and detailed instruction manual that includes recipes. Fully immersible for cleanup and available with a 12-year extended warranty. Presto also makes this 23-Quart capacity pressure canner/cooker. Keep your pressure cooker parts, especially gaskets or seals, in clean, working order. Be cautious of escaping steam during the cooking process, especially when opening the lid. If buying a used pressure cooker from a flea market or if given one by a friend, check for any recalls and have all parts inspected for any safety issues. 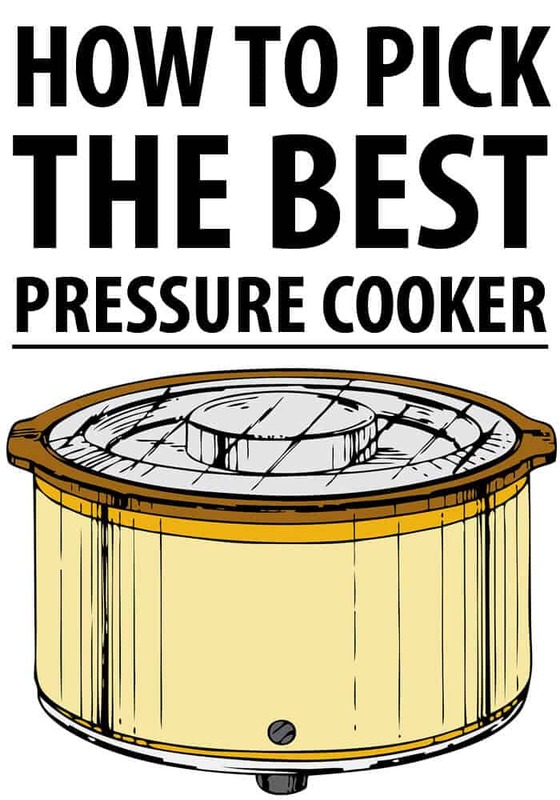 Follow all manufacturer recommendations for your specific make and model of pressure cooker. Measure all liquids and avoid overfilling your pressure cooker. One of the key criteria in how to choose the right pressure cooker is to analyze how your family will use it to cook meals. Before you start comparing pressure cookers, determine why you want a pressure cooker, and which features including size, will be most helpful for your family cooking routine. Defining the benefits you want to get from your pressure cooker helps you to narrow the choices and ensure you choose the right pressure cooker for your needs. Electric pressure-cookers are redundant for peppers. When the power goes out, or SHTF situations occur, the electric version will make a wonderful door-stop, which is great if that’s what you had in mind. 18-8 SS Pressure-cookers should be direct-flame viable and maintained properly. Mine has seen use on a barbecue, an open fire-grill, and on a propane cooker as well. You are 100% correct in your choice. Besides being built like a main battle tank it has the the one feature that makes it good for the long haul. NO GASKET! The metal-to-metal seal gets you out of the problem of replacing the rubber seal found on most pressure cooker/canners. A spare gasket that has been sitting in storage for 15 years will most likely be as brittle and useless and the one you are replacing. With the All American design that worry goes away. I have the 25 quart model and wouldn’t give it up for any reason.